Project Partner: Anthony Giodano, S.P.E.C.I.E.S. Together C4C and S.P.E.C.I.E.S. have created a collaborative effort that capitalizes on the abundance of functional trail cameras available in the USA and distributes them to biologists in Southeast Asia. Using recycled, upcycled, purchased and donated trail cameras, C4C provides scientists with fully functional trail cameras in order to study species threatened by extinction. C4C and S.P.E.C.I.E.S. are bridging the gap between underutilized resources and desperately needed grassroots wildlife conservation efforts. Being an established NGO working for cat conservation efforts, S.P.E.C.I.E.S. has already identified biologists who need trail cameras for their work in Southeast Asia. This network of relationships is essential for the success of C4C. 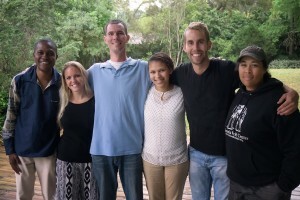 In order to source new applicants and to create an application process, C4C created a website (www.cameras4conservation.org) and a Facebook page (www.facebook.com/cameras4conservation). This has enabled many conservationists to apply for cameras for their work around the world. Our initial goal was to source recycled cameras from hunters, camera manufactures and other sources with large quantities of used trail cameras. However, after spending countless hours writing emails and making phone calls, unfortunately no camera donations were secured. Our solicitation efforts brought us some success as some camera manufacturers were able to provide us with a discount on future camera purchases. C4C successfully applied for and received $1,500 from the SeaWorld and Busch Gardens Conservation Fund and secured an additional $14,500 through Brevard Zoo’s Quarters For Conservation Program. These funds allowed our operation to continue while we continue to seek ways to source used trail cameras. With this funding C4C has successfully awarded 67 trail cameras to dedicated conservation biologists working with rare felid species in four countries: India, Indonesia, Taiwan and Nepal. Summary: These cameras will complement and expand a recent survey in Krishna Sanctuary, which yielded new insights into fishing cat’s distributional range in Andhra Pradesh, India. With a strong community-based component, Mr. Kantimahanti’s efforts will connect a small felid research team with desperately needed technology to help protect and conserve endangered cat species. Summary: These cameras will assess the status of fishing cats in the Bardia National Park in Nepal. Outcomes would be to estimate population size, assess spatial distribution, and help identify major threats to the population. Summary: These cameras will work to solve a human/cat conflict and properly identify the cause of chicken depredations in rural communities of Taiwan. If it turns out to be the suspected leopard cats, the cameras would be used to test the effectiveness of predator prevention methods. Summary: These cameras will help monitor for wild cats in west Sumatra’s Malampah Nature Reserve, estimate the population in the area, and map their distribution. The small cat study will also analyze the effect of human disturbance on the target species and their prey. Unlike previous research done in the area, this project will focus exclusively on small felids, bringing these cats into the forefront of wildlife conservation in the tropical rainforests of Sumatra. Cameras 4 Conservation will become an exclusive program of S.P.E.C.I.E.S. The EWCL Clouded Leopard Team will assist this transfer and volunteer their time in order to ensure that C4C will last for years to come. S.P.E.C.I.E.S. is also working with other institutions across Southeast Asia in order to maximize the use of information regarding these species collected during surveys of tigers, rhinos, tapirs, and other larger charismatic mammal species. In building on our successes, S.P.E.C.I.E.S. will broaden the scope of Cameras 4 Conservation to include other high priority tropical regions where too little is known about tropical forest carnivore species and other cryptic mammals, including west and central Africa, Madagascar, Mesoamerica, tropical China, the Philippines and the Amazon Basin. The Society for the Conservation of Endangered Carnivores (S.P.E.C.I.E.S.) and their International Ecological Study, is committed to the development and implementation of holistic, integrative and impactful projects and activities in service of furthering the conservation of the world’s carnivores. Our goals and objectives are often best achieved through the integration of diverse components and elements into our activities, including science and research, education and public awareness, capacity building and professional development, mentorship, innovation, sound policy development and long-term strategic planning, conflict resolution and problem-solving, local community development, health, and empowerment, global socio-economic markets, cultural attitudes and perspectives, and social media. 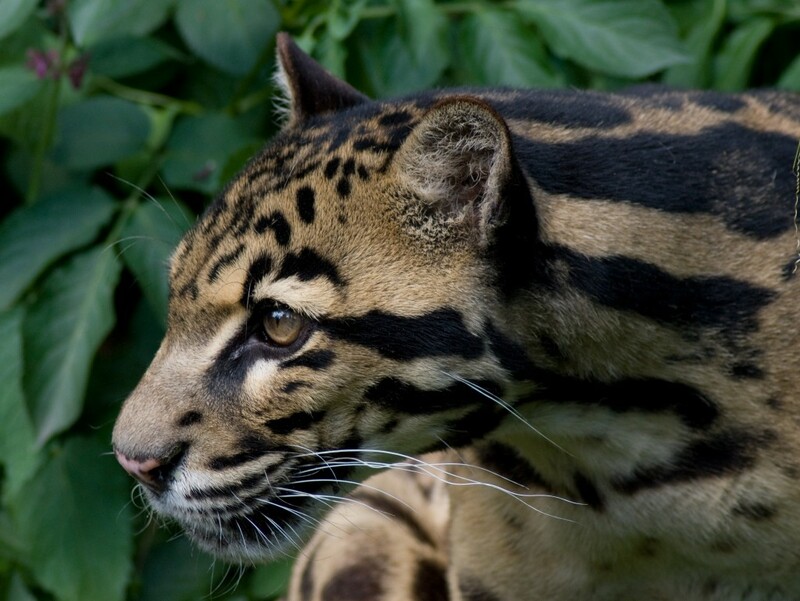 Small felid species in Southeast Asia are greatly threatened by habitat loss and overharvesting for the pet trade or for their skins, bones and meat. By following these helpful tips you can protect the forest and save these critically cute cats! In order to protect these cats, we need to protect the forest they call home. Reduce your carbon footprint by living an eco-friendly lifestyle. Do not buy or use products that destroy the rainforest. Purchase organic, fairtrade and rainforest friendly products. Do not support the illegal trade of wildlife! While traveling through Southeast Asia, avoid taking photos with animals on the street. Most of these animals have been captured from the wild and are treated with little respect and suffer greatly. Never buy a product made from wildlife! This includes skins, furs, bones, teeth, claws and scales. The wildlife need their body parts more than you do!